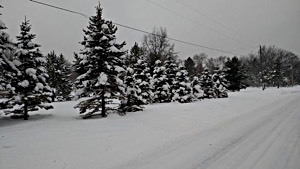 March 30, 2019 - 2:45 pm update: Best places for riding in for the last weekend of riding on official snowmobile trails will be in the snow belts of the Eastern U.P. - Newberry to Grand Marais to Munising - and parts of the Western U.P. and the Keweenaw Peninsula. Still snow in Northern Lower Michigan, however we have no reports of grooming for the weekend. Check the Snow Depth Map for areas with the most snow. Check out John Dee and the John Dee Forecast Graphic for his take on this week's weather. NEW: Webcam Map - View webcams throughout Northern Lower Michigan and the Upper Peninsula on our interactive google map. You can follow the week's weather forecast at John Dee. 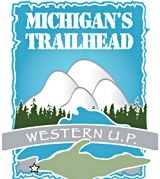 Receive the Latest Trail Reports via Email! To celebrate the best snowmobile season in a long, long time, we've created a new website, Best Up North Michigan Snowmobile. At the Best Up North website you can vote for you favorite snowmobile region and recommend the sledder-friendly businesses that help you have a great snowmobile vacation.